The traveling literary festival, PalFest, has never been easy to organize logistically but this year’s 5th edition is particularly ambitious. Since its inception in 2008, the London-based Palestine Festival of Literature has accompanied writers and artists to Palestine since Palestinians living under Israeli military occupation are unable to move freely themselves. 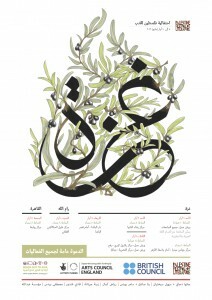 This year, festival organizers decided the 2012 edition would take place in Gaza from May 6th to May 9th. On May 5th a parallel event will be held in the West Bank with British authors Rachel Holmes and Bee Rowlatt who will join poets Maya Abu el-Hayat and Abd al-Rahim al-Sheikh, and the musician Imad Sayrafi, leading extended creative writing workshops and performances. A closing event and review will be held in Cairo at the Rawabet Space for Performing Arts on May 11th. Founded by Egyptian novelist Ahdaf Soueif, along with British authors and journalists Victoria Brittain and Brigid Keenan, PalFest has previously attempted and failed to reach Gaza via Israel because of travel restrictions. This year, the group of writers, educators and artists will cross over the Egyptian border at Rafah. There was some last minute stress on Wednesday when the 43 participants had still not received their travel permits from the Egyptian Ministry of Foreign Affairs. Moreover a press conference scheduled the same day in Cairo in front of the Ministry was postponed following violent clashes related to the upcoming Egyptian elections during which 20 people were killed. On Thursday, however, PalFest organizers were given the green light by the Egyptian Ministry of Foreign Affairs; the group will leave for Gaza on Saturday morning. It is likely that their adventures are just beginning, but PalFest organizers and participants are hardened and determined travelers, and in the past have had to deal with long delays at checkpoints, and event locations being closed down by the Israeli military. The particularity of PalFest is not only for the writers and artists to run workshops and perform free public events but also to interact with Palestinians and get a feel for what life is like under occupation, or in Gaza’s case, isolation. Past participants have included writers Claire Messud, Henning Mankel, Abdulrazak Gurnah and Robin Yassin-Kassab; many have written movingly about their experiences with PalFest. This year’s PalFest group going to Gaza is particular in that it is composed of only Arab writers and artists, explained Ahdaf Soueif, adding that it was a precautionary measure, as organizers weren’t familiar with the lay of the land and did not know what to expect in terms of the difficulties getting into Gaza. In Gaza PalFest will meet writers, artists and civil society leaders including their principal partner, Dr. Haidar Eid, Professor of Post-Colonial and Post-Modern Literature at al-Aqsa University. They will hold creative writing workshops for teenagers, a children’s literary event, and performances. PalFest participants this year include writers, performers and bloggers Ghada Abd el-Aal, Alaa Abd el-Fattah, Suad Amiry, Selma Dabbagh, Najwan Darwish, Amr Ezzat, Amin Haddad, Tariq Hamdan, Nathalie Handal, Manal Hassan, Khaled Khamissi, Jamal Mahjoub, Sahar el-Mogy, Khaled Najar, Youssef Rakha, Ahdaf Soueif, Hyam Yared, Nariman Youssef and the bands Eskenderella, Jafra and al Salam. Ever intent to follow their motto “pitting the power of culture against the culture of power”, PalFest is sponsored by Arts Council UK, the Abdalla Foundation, the British Council, the Open Society, the Qattan Foundation, Bloomsbury Qatar Foundation Publishing, Reach out to Asia and private donors.